Individual Action: Your daily life affects sharks more than you’d probably think, even if you live far from the ocean. 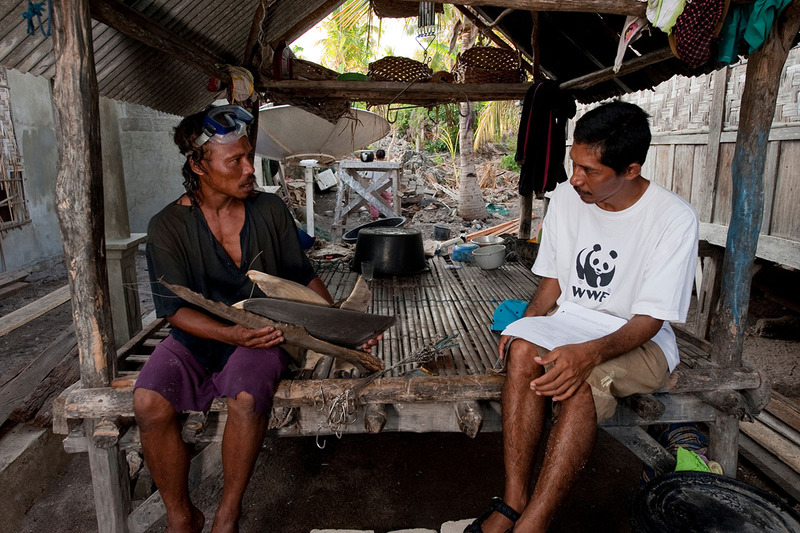 Use a sustainable seafood guide, including those from WWF, to guide your consumption of seafood. Avoid shark fin soup, and other shark and ray products unless it is clear they are from sustainable sources. Be aware that shark meat is often sold under other names, such as Rock Salmon in the UK, and Flake in Australia. Be wary of squalene health capsules and cosmetics incorporating squalene as a moisturiser, if they have come from sharks. Shark squalene is often derived from the oil rich livers of deep sea sharks, which are often long-lived and particularly vulnerable to overfishing. Avoid buying shark teeth, and other shark curios unless they are fossils. While sharks are not typically caught just for their teeth, buying them may support unsustainable fisheries. If you fish recreationally, consider safely release for any sharks and rays you catch, and assisting in tagging programmes if you catch them regularly. Local fishing associations and marine research laboratories are likely to know if shark tagging is occurring in your area. Take videos/pictures of any unusual or rare sharks and rays you see underwater or in fish markets, especially sawfishes, and share them with local experts or WWF. You might even be lucky enough to record a new species to science. Also, we are always looking for amazing video and pictures that we can use to motivate more people to care about sharks and rays. Do contact us if you have some to share, particularly those taken underwater. WWF and TRAFFIC are wholly dependent on external sources of funding. Funds secured for work undertaken by the Shark & Ray Initiative have enabled the scope of work to grow. New sources of funding will be needed to undertake projects in our expanded portfolio of projects moving forwards. We rely on the generous donations of people who care about sharks and rays - people like you. If you support our vision for healthy oceans, or if there is a project you feel passionate about and would like to receive information on how to become a partner, we would really love to hear from you. Get involved and spread the word! Please share this information with others via email or your favourite social networking service.